Our villain (antihero?) is Helen, a mousy, awkward teen girl whose hot sister is super-popular with a handsome boyfriend. She gets ahold of a cursed compact mirror. When she reflects light into someone’s eyes, that someone falls madly in love with her. She does this to seduce the boys bullying her, and then she takes bloody revenge on them. While Micki and Ryan investigate, Helen seduces and kills her way through two more of her former bullies, including running one boy through a table saw in the school’s woodshop. 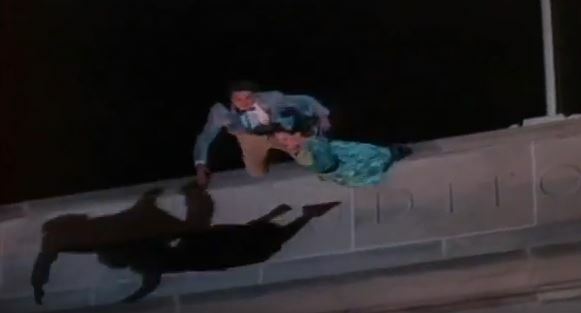 Helen also almost kills Ryan, sending him falling over a railing when he confronts her. It all builds to the school prom (of course) where Helen finally puts the magic on her sister’s boyfriend. Micki and a newly-recovered Ryan confront Helen at the prom, telling her that the killings won’t end, even after she’s already gotten everything she wants. Helen and the boyfriend flee to the roof. With nowhere else to escape, she and the boyfriend jump to their deaths. It’s a crushing blow for our heroes — not only did they not save the day, but they don’t get the mirror back at the end. 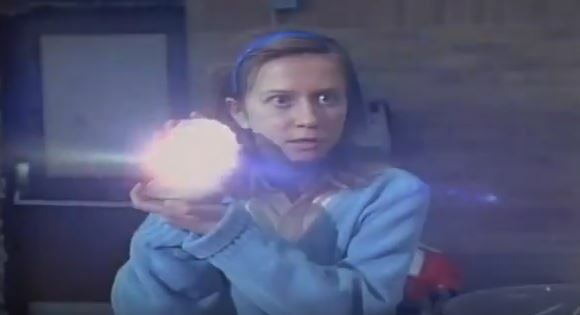 The episode ends with Micki worrying about how many more people it will kill, followed by a shot of an unknown person’s hand finding the mirror in some bushes outside the school. When the show is smart: Helen readies herself for the prom without really knowing how to. The result is misapplied makeup, huge hair, and an out-of-fashion dress. This results in a fully-formed “slasher movie villain” look. 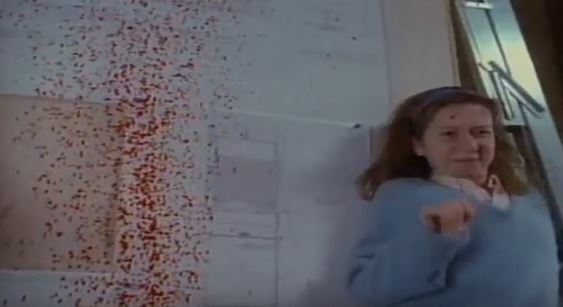 When the show is cheesy: Yes, a lot of this is ridiculous and could be nitpicked to death, but we’re in full-on ‘80s teen horror here, so the cheesy bits only add to the fun. 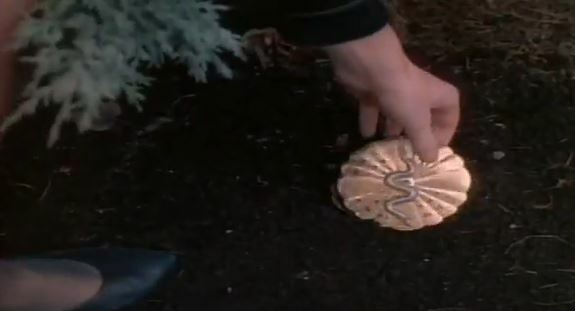 – A line of dialogue states that Micki, Ryan and Jack have recovered 23 of the cursed antiques by this point, which is just short of 10 percent of the ones listed in Uncle Lewis’ manifest. – One of the bullies who torments Helen is played by Zack Ward, a.k.a. Scott Farkus from A Christmas Story. He had yellow eyes. So help me God, yellow eyes! Back in the vault: Not only does this feel like a classic slasher flick, but it has a great sympathetic villain, and an ending that completely subverts viewers’ expectations. It’s one of the show’s finest hours. Next week: The real ink master. 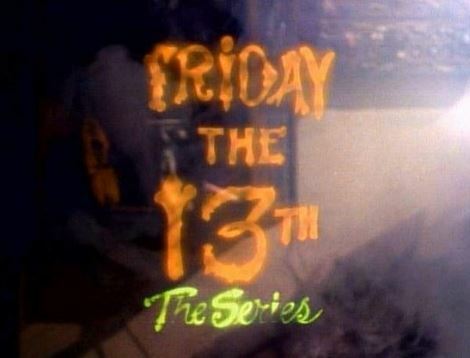 oh, this is definitely one of my favorite episodes. i so related to helen. i, too, was in love with a scott at the time this episode originally aired back in 1989 and he definitely didn’t love me. he also was nowhere near as cute or kind as helen’s scott. one of these days someone will have to explain to me in detail why scott had to die. helen loved him. she didn’t want him to die. in fact, when he was on the roof with her, he didn’t sound like he was lovestruck or under a spell. he spoke as though he really loved her. he did not act like a zombie like the other two guys. and let me just say for the record, i always hated ryan, but i especially hate him in this episode. he made all sorts of uncharitable remarks about helen concerning her looks and that was even before she had used the compact. who the hell was he to disparage someone’s appearance? he was definitely no adonis himself. and i shall never forget how in the second season, he was terrible to nicki’s little nephew, a kid who was crying out for love and affection and just a friend. Thanks so much for reading! I’ve always felt the best episodes of the show are the ones with moral conundrums, and Helen is definitely misunderstood. I also like that our heroes aren’t perfect, their flaws and sometimes bad behavior makes them feel more real, and make the show a cut above others of its kind.